RibDesign is Accent's Brass (Brass) Exhaust End. 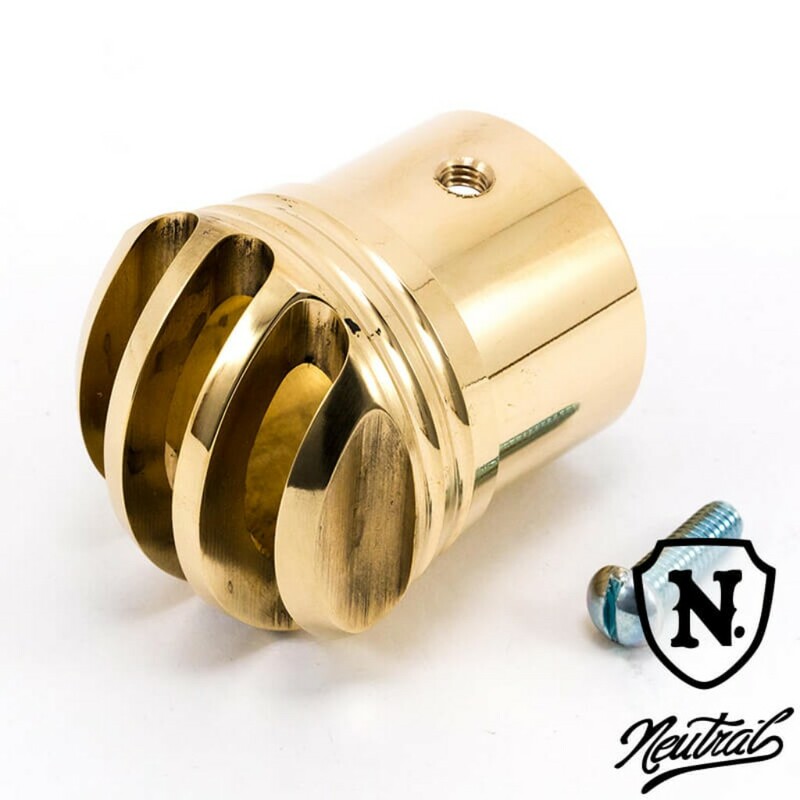 High quality Brass (Brass) Exhaust End of Bolt fastening type Cut-out from. It is Classical Design where Rib enters in the horizontal and vertical directions. While making Cut-out, it is manufactured with Classical round design, weight, thickness, how to shine and how to shine is Natural, the existence and luxury feel of One point can be expressed and enjoy the secular change unique to Brass I will. Instead of covering the conventional Screw, I plug in 1-3/4 Pipe and fasten with Bolt, so it is Point to be strong against vibration.